​It has been a long year since the last post. During that period, as with all of life, there have been ups and downs. I've come to recently appreciate all the good and bad we do for ourselves as well as what comes by through sheer luck. A month or so ago, I got a facebook lookup from someone who knew me in grade school. 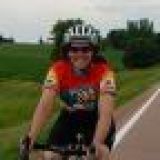 After the standard "how has the last 40 years been for you" discourse, I gave her a link to this blog.I got a message the next day, "I stayed up way too late reading this – I had no idea what randonneuring was". It got me thinking about this blog and how long it had been since it was updated. Then about 3 weeks ago, I finished my 20th Super Randonneur Series. That's a lot of miles.All 4 rides were in special states, Florida, Arizona, California and Wisconsin, on purpose because I thought my 20th should be something special. It got me reflecting of nearly 10 years in the sport. All the people I have known and ridden with, many of who have departed my life on to, hopefully, bigger and better things. I also had an email chain with someone that I have super respected for many years but never truly met in person. We both agreed that as many years and accomplishments that we had, we both had the nagging feeling that we are nothing but "imposters" in the sport. Not fast or beautiful and perhaps always on the verge of some kind of disaster that everyone else would surely be immune to. In many ways, the new "me" is always marked by lack of confidence, that nagging internal voice that says "you shouldn't try". Fortunately, I've always had another voice that inevitably shouts it down. Such was the case a couple of weeks ago, when forces aligned and I made the biggest leap of faith since the accident. Sometimes the path of most resistance has a lot to teach. But more about that later. This was supposed to be a "shakedown" ride for some changes in the Jester. It wound up being a real mental test and I think I might have made some friends along the way. For those that don't know, I'm the RBA of Chicago.I live 300 miles from the start of most of the rides I run. That means massive planning every time and about 10 hours in the car for every ride. This ride was in a new location (necessitated by the fact that no one should pay $160 a night for a Super 8 in rural Wisconsin). I arrived after a full day of work at about 8:45 pm at the new local in Whitewater, Wisconsin, having pre-driven a few select chunks of the route on the way down. Of course my reservation was lost and the hotel was full. In a panic, I walked out and started searching. I wound up in a strange Bates Motel look-alike outside town. I had to be back at the original hotel at 5:00 am to check in and kick off the 400k (also running that day only an hour earlier). With no extra time to fiddle, I slept in my clothes for about 3 hours. I woke up at 4:30 to pouring rain. I got coffee and some milk at a gas station and went to check everyone in. Half the 400k riders bailed on the ride, one without even saying anything who decided to go ride with another club. So as soon as the 400k was off, I ran in the bathroom, put on cycling gear and grabbed the Jester out of the car. The front brake was hosed so I vainly tried to open it up – I went with "good enough". There were 10 people on the 200k and everyone showed up including an unexpected day of registration with an "International Randonneurs" membership card from 1998 – a serious collectors item. We all started right on time at 7:00 am with no rain in sight. Happy day. I was riding with my friend Greg Wood (the Woody of the ride name). We had put the route together the previous year and I hadn't seen him in ages. Of course, we were downed by a flat tire and I stayed back for a fast change. 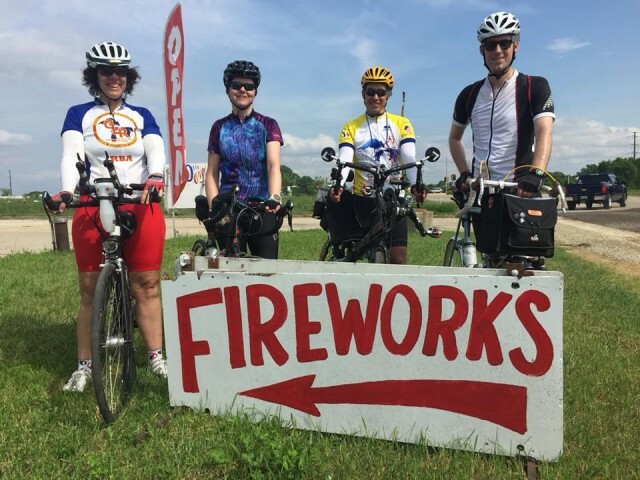 First control was at only 15 miles – I hadn't had breakfast or gotten any water so we had a 15 minute stop for an egg sandwich and serious tanking of resources before the 47 mile stretch to New Glarus. And Greg readjusted my brake which had been on for the first 15 miles. He had a second flat on the way out of town – go figure. Now we were to be a pair for the entire ride since one of us was out of tubes. The next 45 miles are stunning in every way. Those who have not ridden in Green County, Wisconsin are frequently shocked by the hills. None of them are really long (by western standards), but almost all of them have parts in the teens for grades. In most cases, they just are not set up to do as a real roller where you can gain enough momentum to go up after the down. I thought my energy was really low, the bike just felt sluggish. My little "I can't voice" was really having a field day. Outside New Glarus is a hill called "The Eagle". It's a nasty one, about a 1/2 to 3/4 mile of steep stages that totally blow any tempo while ratcheting the grade up to about 20%. I always hit the bottom in the totally wrong gear. It was a total slugfest getting up. 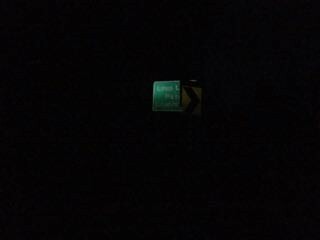 But on the other side was the halfway mark at New Glarus and that was a cheery thought. Particularly when 4 other people were at the control (having just arrived 5 minutes earlier). Here I made yet another blunder by not eating enough – I in fact had lemonade and a pepsi (which I seldom drink). Greg and I were sort of rushed to leave with the others. Looking back, we should have stayed and just eaten a sandwich. We still had a solid 40 miles of hills in front of us, but the next control was only 10 miles away. Riding with a group is always a huge challenge for me since the accident, but this was a very interesting one. 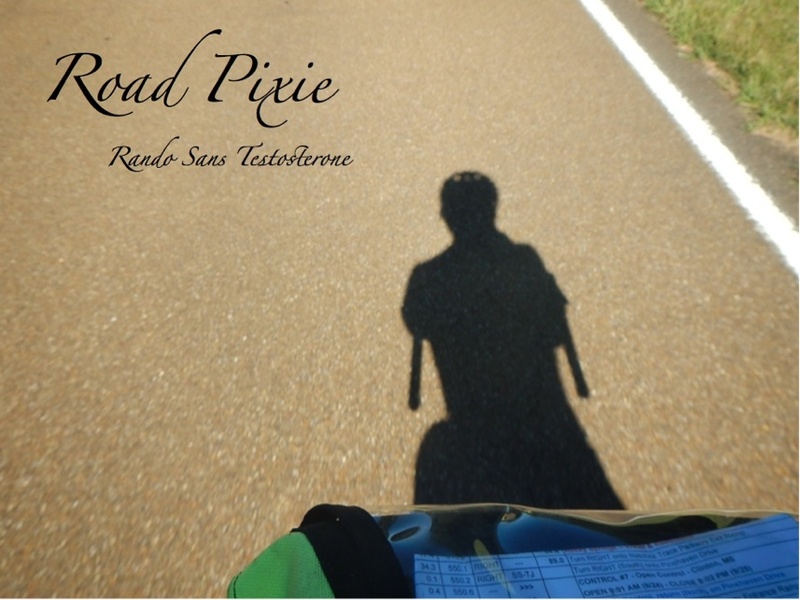 One rider was on his longest ride EVER, a brand new randonneur. 2 others were women I knew, but had not ever ridden with. And another man was in a recumbent that I had ridden with the previous year. We wound up staying together until the end. About halfway back, I was struggling with the bike. For the life of me I could not seem to go up or down with any speed at all. We had some 20 mph headwinds in the hills that frankly shouldn't have phased me but were crushing. A few of us were ahead by about 30 seconds and I called that I was stopping. I had to check the bike, surely something was wrong. Both tires felt hard, but I decided to pull out a gauge and check anyway. I'd just gotten the bike back from a tune up the day before and I sat in stunned silence at the result: 30 lbs of pressure in a 28mm tire, less than half of what it should have been. I'd climbed about 80 miles with a nearly flat rear tire! I pumped it up and curiously failed to check the front (which I found out after the ride was at 40 lbs). It was decidedly easier to ride without a flat rear tire. At Edgerton, we all sat down to eat and my screaming quads got a good stretch. I found myself hungry for the first time in a long time and ate up a sandwich, a pastry and a big lemonade. I'd probably been bonked for about 40 miles. Within about 20 minutes, the legs stopped hurting and I felt better than I had all day. My energy perked up and despite the still flat front tire we all pedaled the last 20 miles easily back to Whitewater. Big cheers to everyone on a very hilly ride - we even had a group shot at the end. It shocks me how I could have just ignored so many rules and how distracted I must have been to have missed so many signs. A mushy ride, rubbing noises, not eating breakfast or lunch on a long ride. An 11 hour finish with 5,300 feet of climbing was frankly miraculous in that kind of terrain. I realized that the people I was with added all the energy that I needed to finish. The combined group had a huge positive effect. Even as many years as I have ridden, it reminds me that what makes this sport special isn't the distance or the speed or the achievement; it's the people and the camaraderie. That sets randonneuring apart from everything else. If I ever have another grade school friend show up and read my blog, I hope they will carry that message away. As crusty and loner as it sometimes seems, it's a sport where we can all come together at the oddest times to be more than we would be alone. That's a special thing. So what was the big leap of faith 2 weeks ago? Why was I shaking down the Jester? Why it's because I decided that it's time to go back to where all of this started. 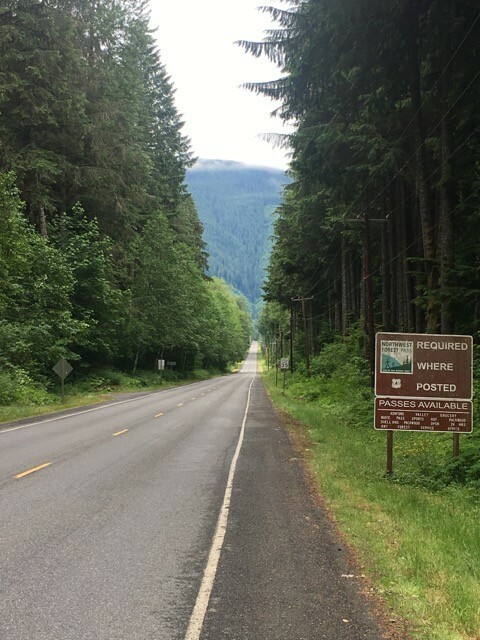 I signed up for the Cascades 1200k in Seattle on June 23.